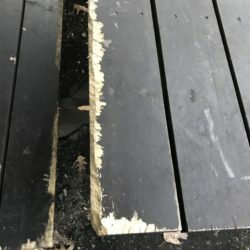 I mentioned in my last post that on the Appalachian Trail nothing seems to go as planned. Every week is full of surprises — some funny, some wonderful, and some that downright sadden or scare us half to death. This week was no exception to that norm. 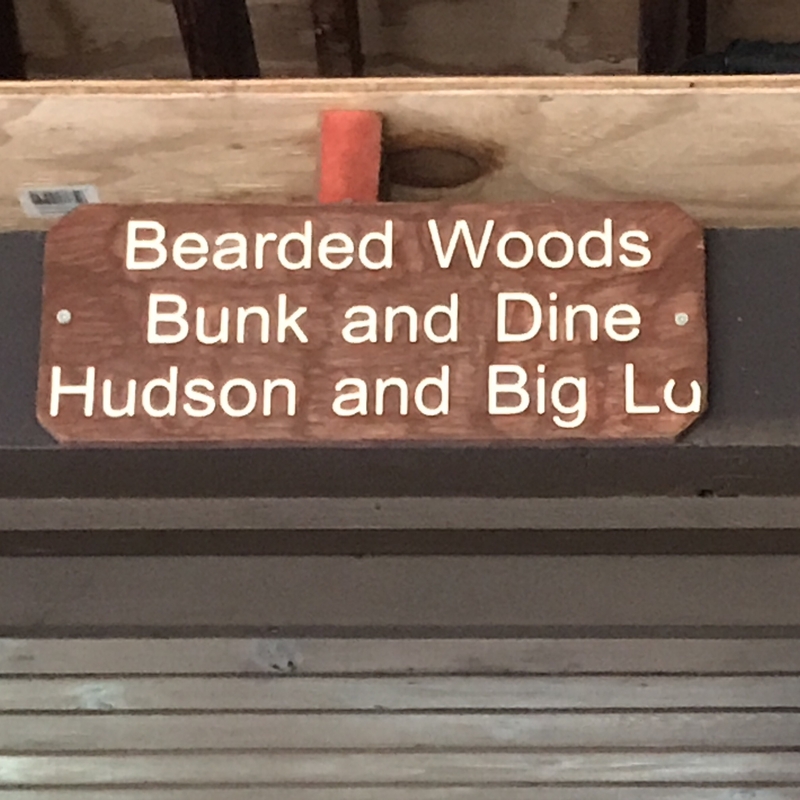 We left the Bearded Woods Bunk and Dine hostel with great regret (more on the hostel later). 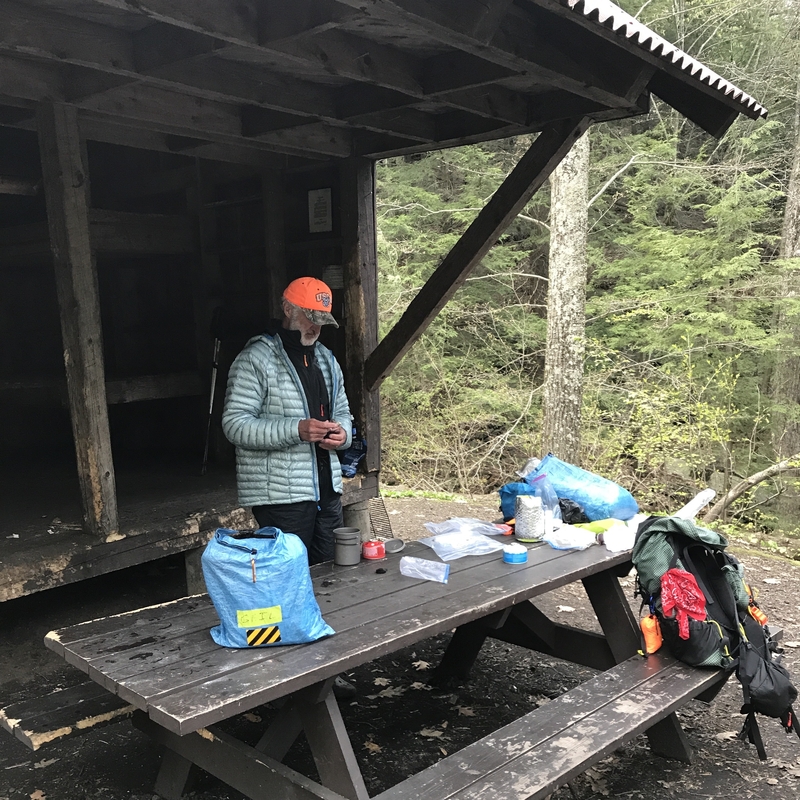 Our next resupply stop was Williamstown, MA which we figured we could reach in one very long day and four fairly moderate (16-17 mile) ones. This seemed reasonable, like all our plans originally do. We went 15 miles the first day, a decent distance for us. Our goal was to get a good night’s sleep at the Tom Leonard shelter, then pull a 23-miler the following day. 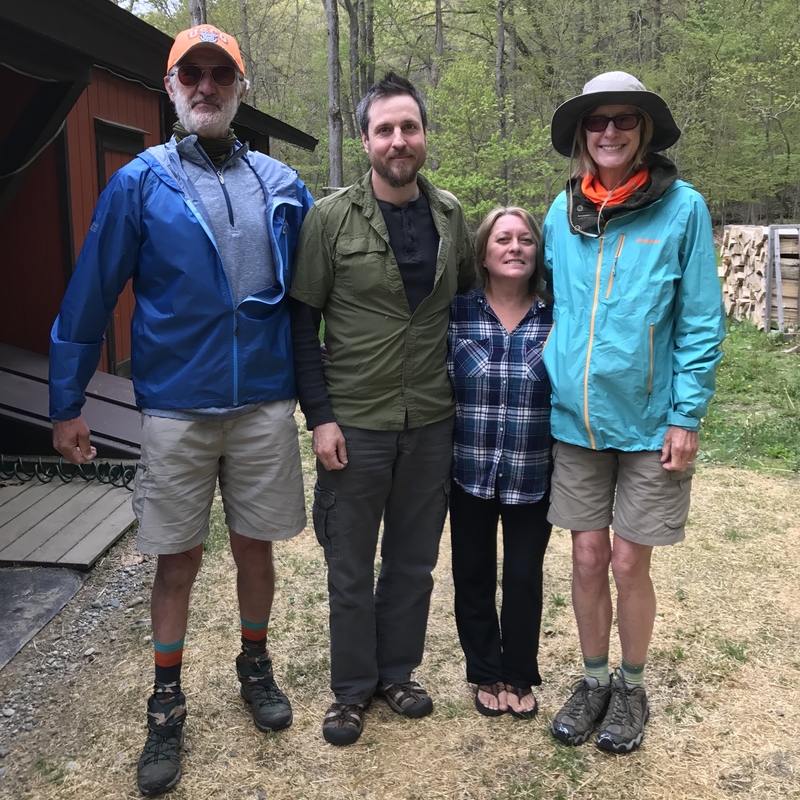 We’d never hiked 23 miles in a day before, and it sounded daunting, but our reward would be a night in a motel beside the trail (showers are always a huge lure). And it would set us up nicely to complete the rest of the week without much stress. When we got to the shelter at the end of the day, though, we could tell that something was off. The shelter was nice enough, but the picnic table bench looked chewed up. So did the entrance to the shelter. Wondering if it could be the work of porcupines, we set up our hammocks a short distance away and later pointed out the damage to a young couple who showed up after us. They didn’t seem concerned, so I shrugged it off. By “hiker midnight” (9 p.m.) I was fast asleep — until 2 a.m. when a gnawing sound jolted me awake. A very close gnawing sound. A sound so loud I bolted out of my hammock and shone my light around. John got up, too, but we couldn’t locate the offender — who, in any case, completely ignored our attempts to scare him off. I finally gave up and tried to relax, figuring that we were in his territory, and he had work to do. I just hoped whatever tree he was eating wouldn’t fall on me. Sometime close to dawn, the couple in the shelter began to yell. They’d finally awakened (although how they’d slept until that point I’ll never know) to find two porcupines chewing on their bed! Their shouts caused the critters to scurry past our hammocks, bringing us lunging to our feet again. Thankfully the porcupines didn’t come back — but by then the sun was up. Not exactly refreshed, we dragged ourselves from camp. 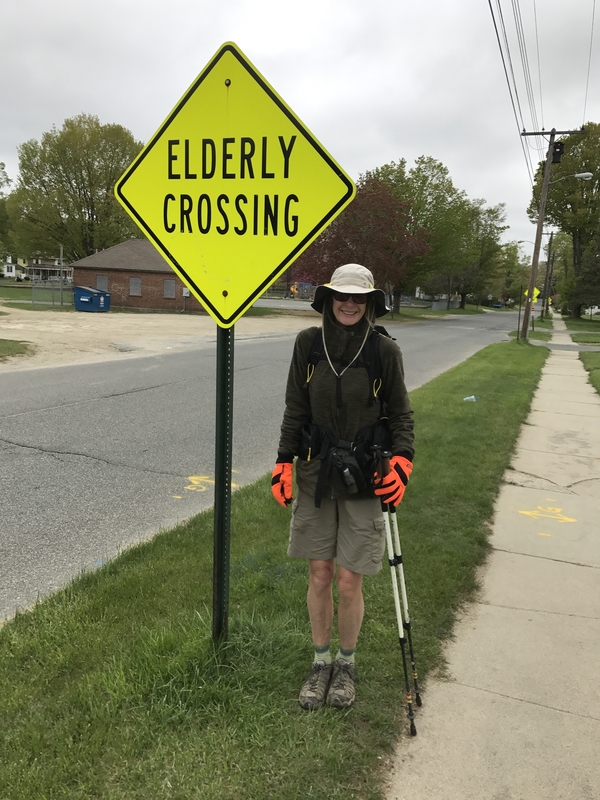 We made decent time all morning, but by late afternoon we were exhausted — and still had seven miles to go to finish our 23-mile trek. I have to admit this is my least favorite feeling. I hate the uncertainty of not knowing if we’ll make it to our destination as darkness is closing in. It scares and panics me. 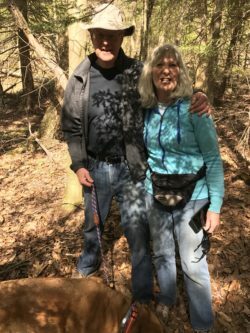 But just when I was starting to get anxious, a couple appeared on the trail, bearing chocolate chip cookies. 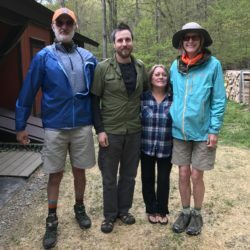 It turns out that their son had done a thru-hike a few years ago. People had been so kind to him during his journey that it inspired them to do the same thing for other hikers — and we were the lucky recipients of their largesse. The cookies were absolutely delicious and gave us the emotional boost we needed to finish that day’s hike (we made it to the motel and passed our 500 mile mark. Hurrah!). I can’t emphasize enough how wonderful — and perfectly timed — that trail magic was. It was a real godsend. Thank you, Jean and Tom! We hiked hard for the next two days. Nothing much happened, except that the weather was getting colder, making it more difficult to sleep at night. Signs of spring seemed to disappear (although we did spot moose droppings, which was pretty cool). Then a nice motorist stopped to encourage us when we were crossing a road — and warned us that a nor’easter was bearing down, bringing with it torrential rain (2 inches!). We hurried toward the closest shelter, trying to get there early to secure a bunk so we’d stay dry. But even inside the shelter I nearly froze. I spent the entire night shivering wildly, even after the downpour appeared to stop. And for good reason. When we got up the following morning we discovered that it had snowed. Two inches. In May! Which led us to a sobering conclusion as we stumbled and slid over Mt. 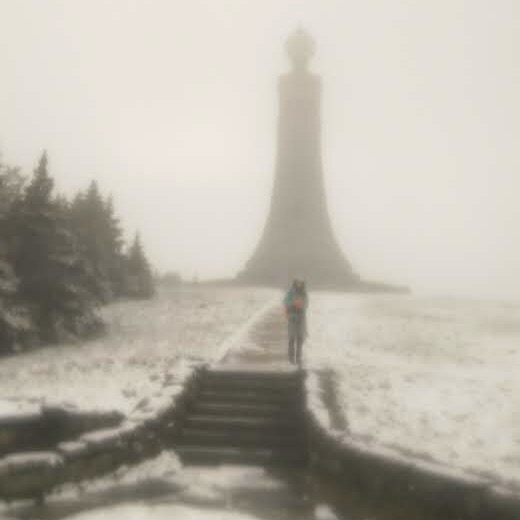 Greylock the following day. We aren’t equipped for winter hiking. We don’t have cold weather experience or gear. We started our hike too early in the season, which is why we aren’t encountering other flip floppers this far north. 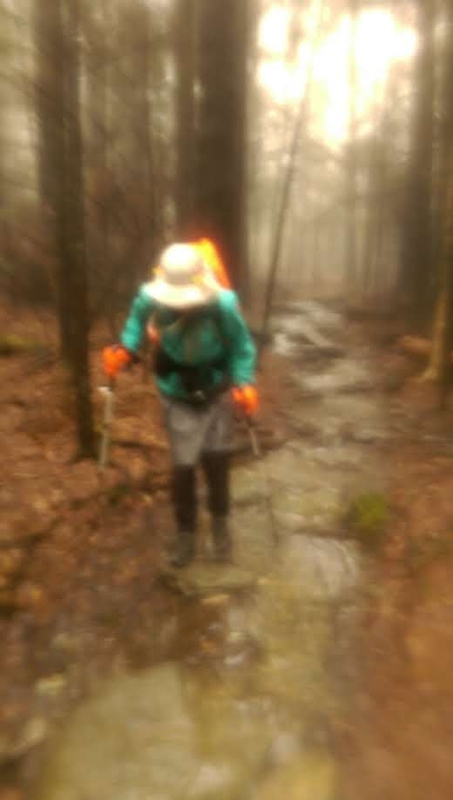 Killington, the next mountain we are scheduled to go over, has just added four inches of snow to its 30-inch base, and at lower elevations the trail is filled with relentless mud (this report comes from Barfly who is still in the area visiting friends). So we have decided that the only prudent thing to do is to take a break. Once we secure a rental car, we’ll spend the next week or two back in Maryland, waiting for the snow to melt. I really hate to admit it, but continuing to hike under these conditions isn’t courageous. There’s nothing romantic or noble about being in the elements unprepared. It’s foolish, even dangerous, putting our limbs — and lives — at risk. So while this isn’t what we expected to happen, we’ll use this brief respite from our thru-hike to better prepare for the challenges ahead. One more thing: when we first planned this trip, we figured we’d spend every fifth or sixth day in a hotel so we could shower and wash our clothes. We decided against staying in hiker hostels since we prefer our own bathroom and privacy. But Barfly suggested we try the Bearded Woods hostel for the experience (and with a name like that, how could we resist?). Are we ever glad we did! The hostel proved to be wonderful — warm, comfortable, modern, and extraordinarily clean. Hudson and Big Lu are two of the nicest and most knowledgeable people we’ve ever met. And incredibly helpful. They even took the time to help us plot out the rest of our northern trek (both are expert hikers). Staying there was such a positive experience that we lingered for an extra day — and were honestly sad to leave. So if you want to stay in a first rate hostel, I highly recommend it. 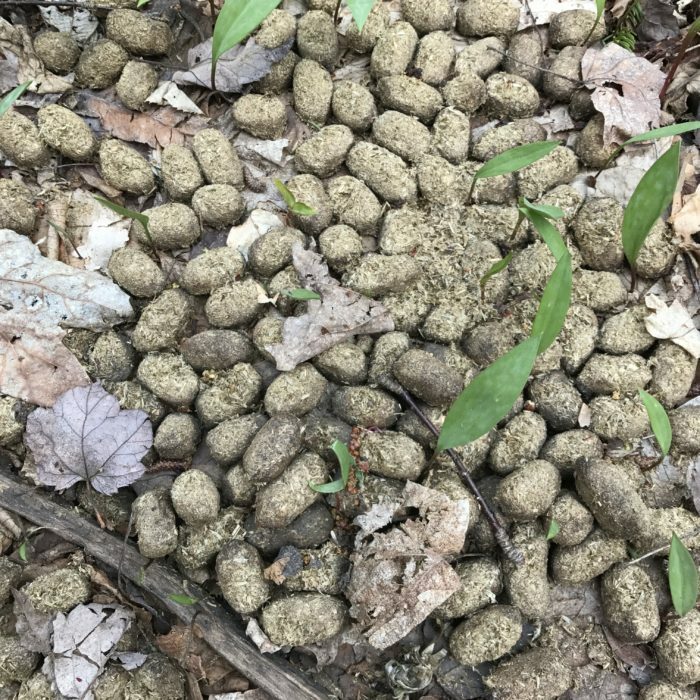 I can’t imagine finding another place of this caliber anywhere else on the AT. So that’s it for now. We’re heading home briefly to rest our aching knees. But we’ll be back. The mountains — and more unexpected adventures — await, I’m sure of that. The trek will soon resume! Looking forward a few weeks down the road to hearing and seeing photos of the rest of the trip. Enjoy Maine when you get there. Thanks, Sandy. I’ve been home for less than a day and am already anxious to get back on the trail. This hiatus will be short! I am an editor at the Berkshire Eagle in Pittsfield, Mass. I’m doing a story on the people on the trail, which runs the length of our county. (If you came down Mt. Greylock to Route 2 in North Adams, you went past my house. I’m sorry I missed you then Also sorry about the snow; it’s 80+ today.) Will you be picking up your hike again in NA? If so, would you email me at [email protected] when you get to the Berkshires? I would like to interview you in person. Hi Maggy. Yes, we must have gone right by your house. We ended up taking a taxi into Williamstown to spend the night. We are going to return to that area to resume our hike, so I will definitely email you. I started my flip flop on April 26 from Grayson Highlands State Park. I’ve had GREAT experiences at both Quarter Way Hostel and Woods Hole. Both have private rooms, gracious hosts and phenomenal food. Hope you’re back on the trail soon! Thanks, Roo. It’s great to hear that there are other good hostels out there. I’ll keep them in mind for when we go south later this summer. Where are you now? We are getting back on the trail tomorrow in North Adams, MA. It would be fun to meet up!